How popular is Versoli Beach? 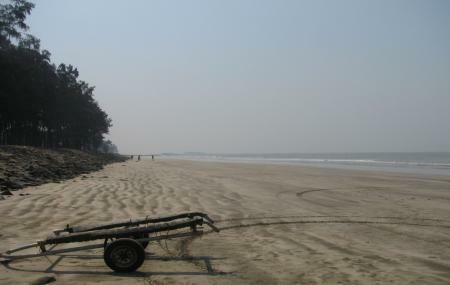 People normally club together Nagaon Beach and Undheri Fort while planning their visit to Versoli Beach. Amazing experience for families and friends. Enjoyed a very good boating experience. Loads of varieties of rides. Clean beach and amazing local food. You get a loads of variety of dishes. And lighting and playing area and open gym all free. Parking free! Good place to visit! No much rush, no litter , no bad smell. These beach is good for relaxing without any disturbance. Good for photoshoot. Good for healthy walk! Good for athletic practice. Different rides are available here. Good for children. Good to visit with family. Good for fun with friends and colleges. Beach is best in case of cleanliness! This place was good as it had less population..can be preferable for photoshoots.About the sea ..i would say that it was not at all clean..and had less or no waves. Food was easily available here..with average rates. If one really wants to have fun on beach..one should visit kashid beach..it is clean and got waves as well. Varsoli beach is one of the cleanest beaches in Alibag. Expect crowds during the weekend. There are a few water sports that holiday makers can try. There are food carts and stalls at the entrance that serve some really good seafood and other fast food.